No trip to Thailand can be considered complete if you haven’t spent some time in Bangkok; it’s easily a Southeast Asian rite of passage. Three days is plenty of time to explore the best temples – the Grand Palace, Temple of the Emerald Buddha and Wat Arun are musts. It's also mandatory to grab a cocktail or two at one of the city’s buzzing rooftop bars, cycle along the jungle-fringed pathways of Bang Krachao (otherwise known as the ‘green lung’ of Bangkok), and cram in some shopping: Siam is where the best commercial malls live. Chiang Mai is the Polar opposite to Bangkok. The pace here is different; it's a laid-back haven, delivering Thailand at its most authentic and a city rich in culture, natural wonders and ancient history. Much like the whole country, you can spend weeks getting immersed in it, but fortunately four days will give you a flavour of its best bits. Temples are a big deal here – some of the most historic and intricate include Wat Chedi Luang, Wiang Kum Kam, Wat Phra Singh and Wat Phra That Doi Suthep. 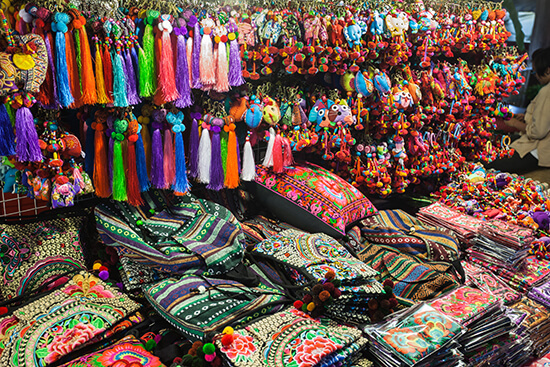 We recommend spending one of your days with the hill tribes too, and also allowing plenty of time to wander the city’s vibrant street markets and night bazaar. If your dates are flexible, it’s worth visiting in April as Chiang Mai is renowned as the place to be when it comes to Songkran. Every year, the Thailand water festival sees locals taking to the streets to literally soak each other – buckets, balloons and super soakers are packed with water. Best not to wear white. Khao Sok National Park is a bit off the usual tourist trail but trust us, it’s worth the detour. 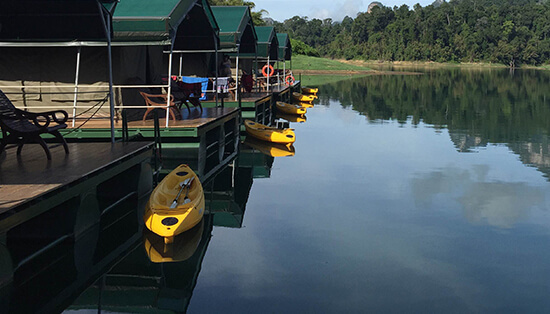 At Elephant Hills you’ll stay in luxury floating tented camps atop the Cheow Lan (Larn) Lake, complete with en-suite bathrooms and powered by solar and wind energy. From the shores you can watch eagles, hornbills and gibbons while soaking up the intimacy of your secluded surroundings. And of course there’s the big draw: you’ll get to partake in the ‘Elephant Experience’. Offering the opportunity to engage with these gentle giants up close, you can help mahouts with the animals’ daily meals, cleaning and bathing. This is one of the most ethically-conscious ways to see Asian elephants in the wild and provides a truly unmissable, once-in-a-lifetime wildlife encounter. Put simply, Thailand’s southern isles are all about relaxation. You can spend your days hopping between a few of the region’s gems (we love Koh Samui, Ko Yao Noi, the Phi Phi islands, Ko Lanta and Phuket), but there’s still plenty to do if you choose to spend the remainder of your trip solely on Phuket too. Here you can laze on sugary beaches; kayak through the limestone caverns of Phang Nga Bay (of James Bond fame); visit a village on stilts in Koh Panyee; admire colonial architecture in Old Phuket; experience the Bangla Road nightlife first-hand; explore even more temples; and gaze up in awe at the Big Buddha. Have we successfully kick-started your wanderlust? 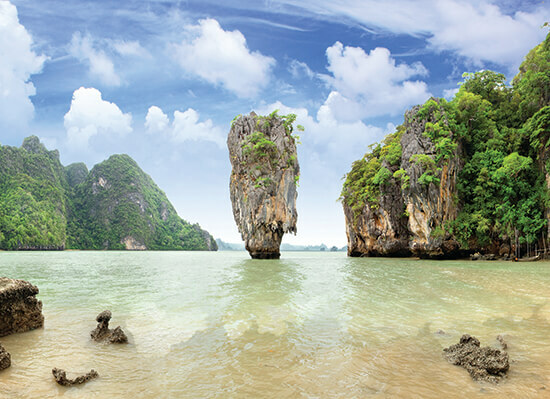 Travel to Thailand on one of our incredible tailor-made holiday itineraries called Journeys; speak to one of our Travel Experts today to find out more.